My name is Torkom and I’m an electronic music producer and sound meditation facilitator from Los Angeles. I began my journey with SUBPAC three years ago, and so so much has developed since that time. 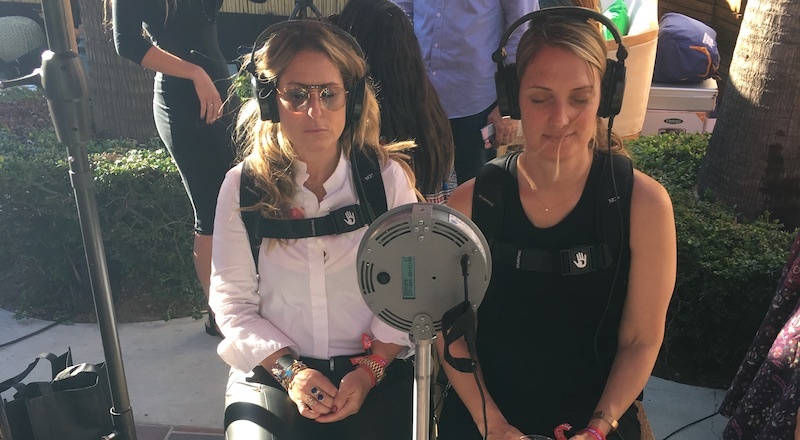 More people than ever use the device (and for more applications), sound therapy is more widely accepted, and technology is continuously advancing and upgrading how we connect to each other, ourselves, and our purpose in life. As a sound meditation practitioner, integrating the SUBPAC into my private and smaller scale sessions has been nothing short of incredible and made sense. I typically set up an arrangement of 4-8 SUBPACs and perform Quantum Harmonix sounds (more info below) for 10-20 minute sessions. October presented many amazing opportunities and events to share this type of work. 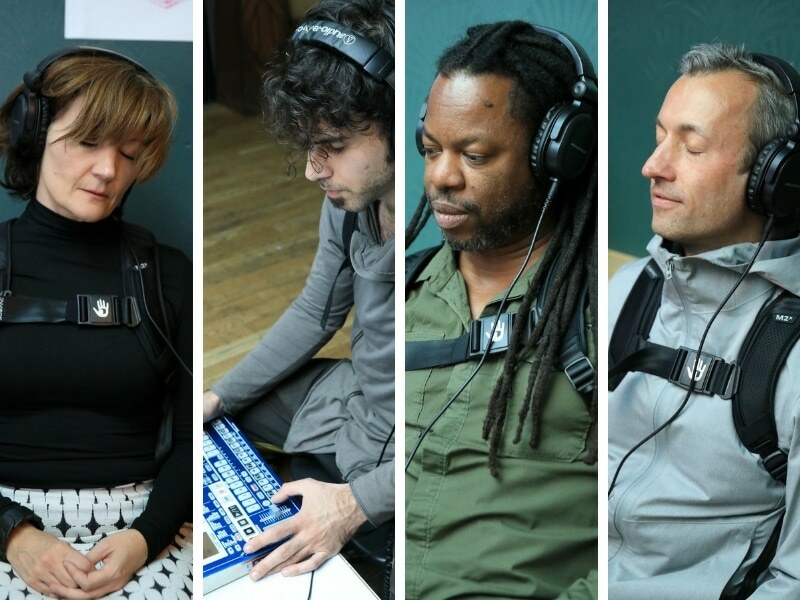 This was my first time implementing Quantum Harmonix with SUBPAC at Yoga Body studios. My biggest take away was that cable management is an absolute must, and has to properly be thought out to make the experience truly effortless, while cleaning up the look a bit. With that said, everybody loved the experience which lasted 1 hour, and definitely wanted more. I look forward to my next session with them in January, and you’ll be sure to take note of what kind of improvements I make on the cable management! This event was fun. I was brought onto this event to perform a live electronics & ambient set for the attendees while Michael Strauss was providing visuals and an Augmented Art Gallery for all to enjoy. The event was packed, and for me was an opportunity to use my SUBPAC while performing for good bass response and feedback. I was honored to be a part of the VIP lounge and share my sound healing experience for 2 days at WORLDZ conference. Day 1 was an automated healing space with four SUBPACs, and 10 min intervals for guests to sink in, relax, and let go. Day 2 was when I actually set up my synthesizers and performed live sessions for the VIP’s. 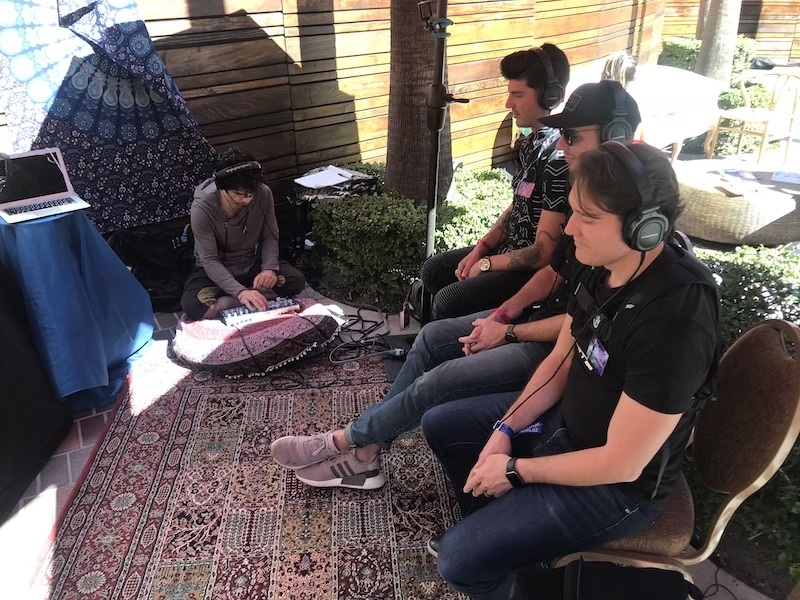 Julian Reyes from Keyframe organized an amazing event that featured a variety of experiences, talks, and performances centered around EDM and Virtual Reality. I had a very warm reception and used my typical 4 SUBPAC setup to take attendees into deep and meditative states. I especially like when they can finish a session with me, take in a deep breathe, and jump into a VR, or other type interactive experience with a new palate. David Starfire closed out the night with a very unique and revolutionary live DJ set in VR which was streamed across the internet and projected into the room. Visual Reality turns 2! The crew had a blast celebrating 2 years of immersive art, virtual reality, augmented visions, visuals, healing sounds, and of coarse an incredible community of people. At the Creative Technology Center; cake was had, food was served, music was enjoyed, and art filled the room as attendees were invited to follow their flow and explore what experiences awaited them. 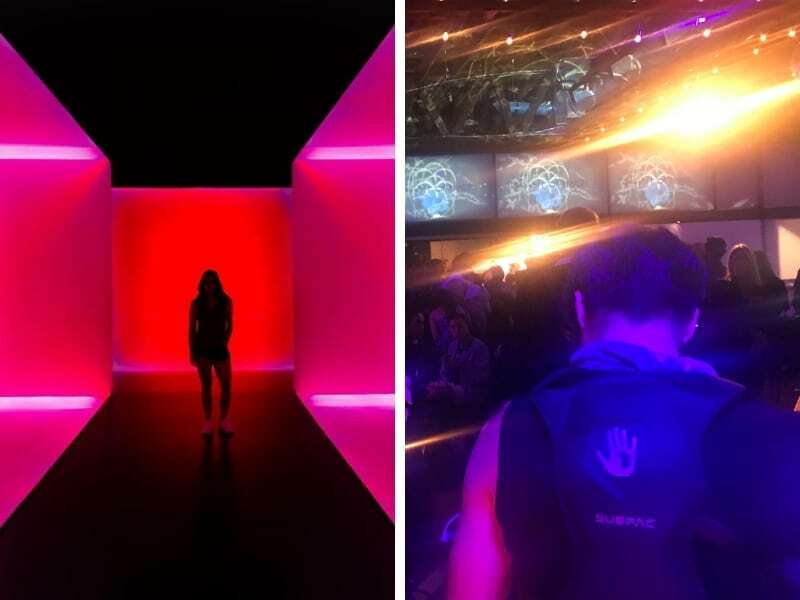 SUBPAC was used across the board to power all the experiences ranging from VR, to sound healing, and more. My lounge upstairs is always a go-to spot for people looking to relax and get a birds eye view of the ground floor. Their next event is on January 18th! October was a busy one, lets see where November takes us! 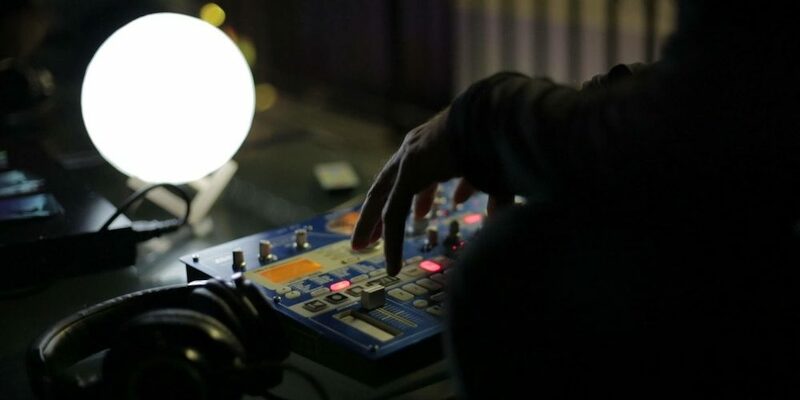 TORKOM JI is a sound healer and electronic music producer from Los Angeles. He has been facilitating group sound healing experiences since the summer of 2012, and has provided deep meditation and rejuvenation for thousands of people using his unique and powerful modality. 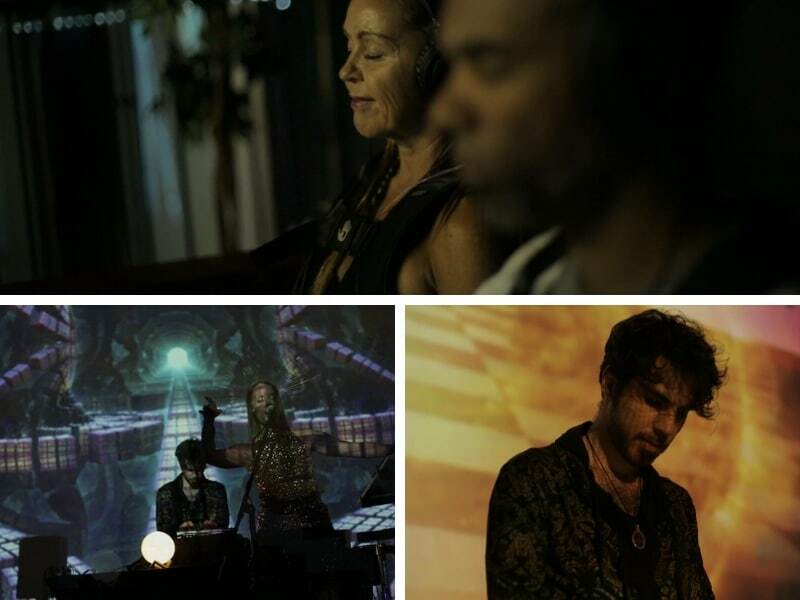 His sounds have been experienced and at various therapeutic sound spaces at many festivals including Lightning in a Bottle, Lucidity, Shakti/Bhakti Fest, Indigo Vortex, and more. Birthed from his studies of music, vibration, energy and the practice of meditation and martial arts; Torkom has mastered and perfected a system that is known to put people in very deep states of consciousness, with very little effort.Using a synthesizer in 432hz tuning,Torkom weaves soundwaves and harmonics live, and in real time. Through the natural movement of these sounds, deep rest is achieved and the bodies own intelligence facilitates an elevated level of healing. Quantum Harmonix is a deeply nourishing and restorative sound based healing technology and meditation modality. Explore your deep consciousness, release your tension & stress, or simply relax and enjoy a nourishing and restful experience designed to maximize your comfort and meditative pleasure. Please come prepared for a powerful shift into a more harmonic and aligned self.